When you are an Arab in America, there is a good chance you will face several hurdles in your life. Many politicians exclude us; sections of the news media stereotype us, mostly covering us only in negative stories; and the entertainment industry generally demonizes us in many Hollywood movies and published books. So, when an Arab-American manages to rise above all of that, it is worth celebrating. That’s how I felt when Rami Malek won one of the most prized Oscars at the Academy Awards, as he was named “Best Actor” on Sunday. He is the first Arab to win the Oscar in that category. You need to understand what the Oscars are all about to really appreciate the hurdle that Malek has overcome. The Academy Awards are decided by more than 6,000 “film professionals,” people who work in the movie industry and are recognized by the Academy of Motion Pictures Arts and Sciences, from producers to journalists. All 6,000 members vote for the best film, but the individual categories, like best actor, are decided by members who have a direct involvement in that aspect of the filmmaking process. It all sounds pretty democratic, but it’s not. The Hollywood movie industry is like much of the American media, in that it is lacking Arab voices or any real diversity — it is like a club for people who share a lot of the same interests. Members have to be invited by the Academy or nominated by existing members. A 2012 study of the Academy’s membership concluded it was not very diverse and was dominated by rich, old, white men. Hollywood has produced hundreds of movies with Arab characters or themes. The late author Jack Shaheen documented the anti-Arab nature of Hollywood films in his book "Reel Bad Arabs,” concluding that “Arabs are the most maligned group in Hollywood history.” This might help to understand why Arabs don’t get a fair chance at the Oscars. You need to understand what the Oscars are all about to really appreciate the hurdle that Malek has overcome. Malek didn’t win the best actor Oscar because he is Arab, even though everyone knows he is Arab. 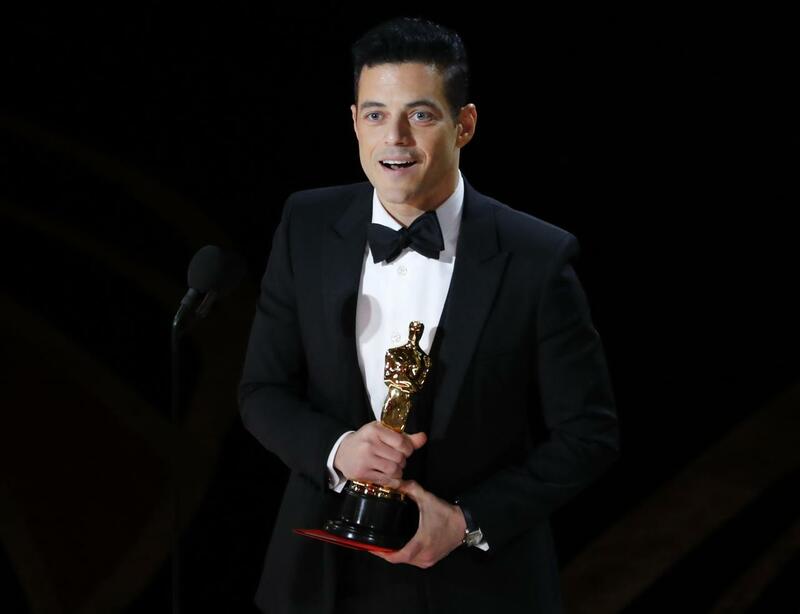 He won it for his performance in the movie “Bohemian Rhapsody,” which is also the name of one of Queen’s most popular songs. The song has been used in a lot of movies, too, usually as a theme for overcoming great odds, which makes Malek’s win even more superlative. Not many Arabs have won Academy Awards over the years. In fact, not many Arabs have been hired to act in American movies. During the Oscars this past week, two other Arabs were nominated for awards but did not win. They were Lebanese director Nadine Labaki, whose movie “Capernaum” was nominated for best foreign language film, and Syrian director Talal Derki, whose “Of Father and Sons,” was up for best documentary. Movies made in the Arab world and the actors who performed in them have been nominated in the past, but in lesser categories than best actor, and only a few have walked away with Oscars. The most famous Arab name in Hollywood remains Omar Sharif, who was nominated for his role in the 1962 classic “Lawrence of Arabia,” but even he did not take home a statuette. There have been a few rare “Arab moments” at the Academy Awards, such as when Vanessa Redgrave won the Oscar for best supporting actress in 1978 for her role in “Julia,” which was about the Holocaust. During her acceptance speech, Redgrave applauded her colleagues, vowed to fight against fascism and anti-Semitism, and denounced the “bunch of Zionist hoodlums” who were protesting outside the auditorium that evening because of her work in producing a documentary detailing the suffering of the Palestinians at the hands of Israel. She wasn’t the first to denounce injustice, but she was the first to denounce injustice against Arabs and Palestinians on the Oscars stage. Redgrave was ostracized by the Hollywood filmmaking industry for her brief comment, and suffered severe consequences for defending the cause of Arabs, Palestinians and human rights. So I would like to salute Malek, and I think we all should. What he did was not easy to achieve in a Hollywood industry that lacks diversity and is often an anti-Arab environment. And maybe one day, Malek will use his platform, as Redgrave once did, to similarly denounce the injustices that continue to take place against Arabs. That would really make him a superhero Arab in my eyes.